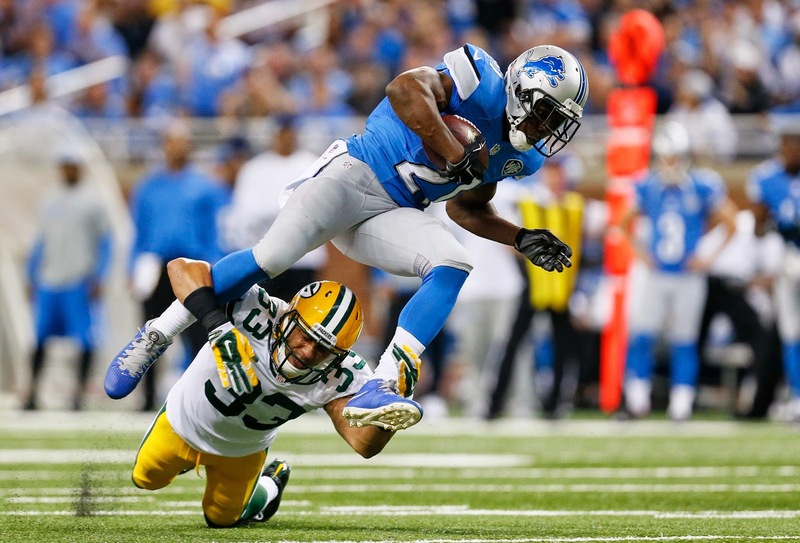 - This game reminds me of the Lions' 7-3 victory over the Packers at Ford Field for some reason. Detroit's defense is playing unexpectedly exceptional football. The difference is, of course, Packers' QB Aaron Rodgers missed much of that game with a concussion, and Drew Stanton was the Lions' QB that day. Matthew Stafford was injured. - The Lions got burned badly because of a blocking scheme with backup right tackle Garrett Reynolds, forced into action because of injuries, one-on-one against Julius Peppers. If you going to do that, the ball must come out quickly. The fact Peppers made a big play (forced fumble, recovery in the red zone after a long Lions' drive) should not come of much of a surprise. It's not like he hasn't done it before. Or if the Lions blocking set was a good one. It was more like a recipe for disaster when you think about it. - Undoubtedly, this town has its collective fingers crossed with the hope it doesn't come down to rookie kicker Nate Freese having to make a field goal to decide the Lions' fate.